The Clinical Audit Support Centre (CASC) is the brainchild of Tracy Ruthven and Stephen Ashmore. Tracy and Stephen formerly managed Leicestershire Primary Care Audit Group (PCAG) and collectively have over 40 years experience working in clinical audit, quality improvement and patient safety across all sectors of the NHS. The Clinical Audit Support Centre was founded in 2006 and is a Private Limited Company. Tracy and Stephen are the founders, owners and co-directors of the business. The business is entitled the ‘Clinical Audit Support Centre’ to reflect the main area of interest that Tracy and Stephen had when working in the NHS, but CASC provide support and accredited training in a wider range of disciplines all designed to help improve patient care. For example, CASC help teams learn from incidents and improve patient safety through training on root cause analysis and significant event audit, we design bespoke questionnaires and patient surveys, we provide training and support in popular quality improvement methodologies such as Plan, Do, Study, Act (PDSA), Model for Improvement, etc. Indeed, since the business was established in 2006, CASC’s workload has diversified significantly. For example, in recent years we have helped the Motor Neurone Disease Association set up a national audit, we have increasingly provided best practice guidance for patient participation in healthcare, one co-Director (Tracy) has taken up a key role as a Freedom to Speak Up Guardian, we are working to help general practice reduce their patient ‘do not attends’ and are supporting members of the veterinary profession to embed audit and QI in animal healthcare. The Clinical Audit Support Centre is based in Leicester but we work across the United Kingdom and beyond. 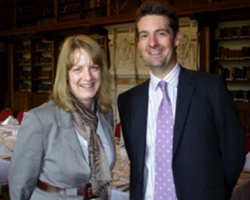 Both co-Directors have academic qualification in clinical audit and QI, plus national teaching qualifications. All CASC courses are accredited and quality assured by an academic institution – Open College Network West Midlands. We receive no central government funding and are independent. We also produce a number of well-regarded surveys and reports in relation to clinical audit each year as well as helping clinicians showcase their work in clinical audit and quality improvement, via annual events such as our competition for junior doctors. We also produce a monthly news update and a weekly clinical audit job vacancies bulletin. Our aim is to help improve the delivery and safety of healthcare for patients via whatever means possible! Traditionally we have used clinical audit to measure and improve healthcare but we are now adopting a much broader range of approaches including: established quality improvement techniques, patient safety techniques, project management and service re-design, educational events, training, etc. If you are looking to improve patient care please talk to us. There are no up front charges and we endeavor to keep our costs to a minimum. We also have great links with many other providers and experts in the field of healthcare improvement and can direct you to the most appropriate point of contact. Tracy Ruthven (formerly Johnson) joined the NHS in 1994 and initially worked for the clinical audit team at North Staffordshire Hospitals NHS Trust. In 1997 she became Clinical Interface Audit Co-ordinator for Leicestershire Fosse NHS Trust before being appointed Deputy Manager at Leicestershire Primary Care Audit Group in 2000. In 2006 Tracy left the NHS and set up the Clinical Audit Support Centre with Stephen. Read more on Tracy. Stephen Ashmore joined the NHS in 1995 and has over twenty years experience working in clinical audit and quality assurance. He initially began his career as a trainee audit facilitator for Walsgrave Hospitals NHS Trust before leaving the Acute sector and becoming Manager of Leicestershire Primary Care Audit Group in 1999. In 2006 Stephen left the NHS and set up the Clinical Audit Support Centre with Tracy. Read more on Stephen. The Clinical Audit Support Centre's Terms and Conditions clearly set out how the business operates. These have been developed with the support of our solicitor and have been kept as short as possible. To download our Terms and Conditions, please click here.